After research lot finally, I have found the solution for configuring Binatone DT850 ADSL WiFi Router as repeater mode configuration to boost Wi-Fi range on home and office. See the method to utilize your laying ADSL modem+ Wi-Fi router as the range extender. I got many questions about “how to configure Binatone ADSL router as repeater mode” on my YouTube Channel. Actually Binatone DT850 and DT865 ADSL modem+WiFi router used by Airtel, MTNL, and BSNL to provide DSL internet connection with Landline connection. The consumption of ADSL modem wifi router huge as its used by telecom leader company Airtel and BSNL. So once you disconnect the internet connection than your ADSL wifi router laying waste until you cannot utilize it as Wifi range extender. So everyone tries to use Binatone ADSL router in repeater mode but they failed because Its true there is no repeater mode available in ADSL router DT850 and DT865. But I tried to connect reverse WDS bridge mode to enable Repeater mode in Binatone DT850W 4 Port ADSL+ Router with Wi-Fi. Before knowing how to configure ADSL router as repeater mode how to use without repeater mode use as the range extender in ADSL wifi Router. 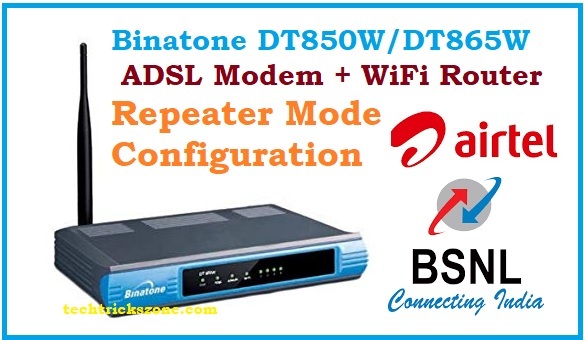 How to use Repeater Mode in Binatone DT850 ADSL WiFi Router. As I already confirmed now repeater mode exist in Airtel ADSL Wi-Fi Router than how to use as the repeater. To use Airtel ADSL modem as repeater your Main internet Router should support WDS bridge mode. I tested Binatone DT850 4Port ADSL2 modem as repeater mode with TP-Link TL-WR741 ND. To understand see the diagram how to connect ADSL modem as the range extender. You may try to find repeater mode in your Airtel and BSNL ADSL modem. Only Wireless Access point configuration available for DT850W ADSL modem wifi router. so to configure Binatone BSNL ADSL2 WiFi router As repeater mode with tricks possible. To understand the process to use your laying ADSL modem to boost wifi signal in your home. I have tested Repeater mode with TP-Link TL-WR741 WiFi router as internet main router. Wireless connect ADSL router from TP-Link WR741 with using WDS mode. 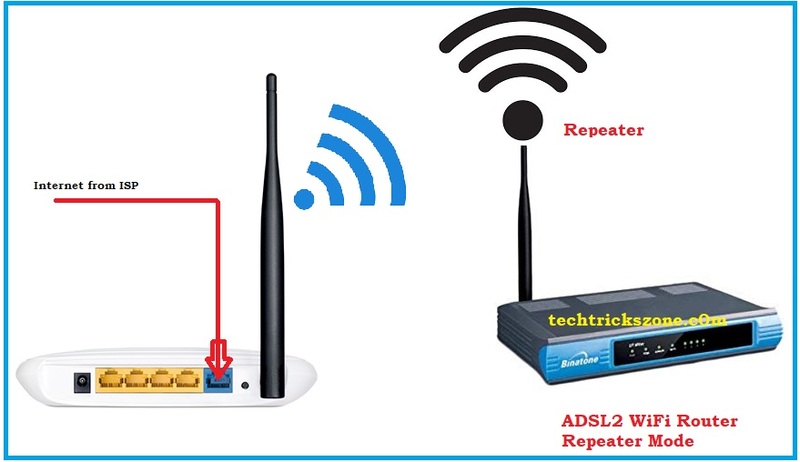 See complete configuration guide to turn your ADSL Modem+WiFi router as the Repeater mode with TP-link WiFi router. Step1: Configure binatone DT850/DT865 as Access Point. 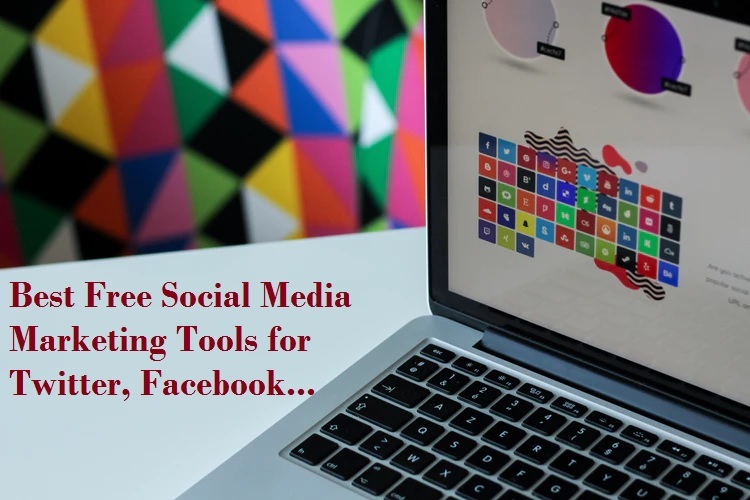 Connect your ADSL modem to Laptop through Lan cable and open the IP Address. Use 192.168.1.1 if in default setting and admin/password for username and password. Choose your country and keep channel in Auto mode. WEP- type Password in Key#1 box. Step2: Disable DHCP Server on Binatone DT850 ADSL Modem + Router. As we are going to configure DSL broadband router as range extender so mobile and laptop will get the IP address from the main router. If DSL modem DHCP server will enable than all the mobile and Laptop connected to repeater SSID will get the IP address from itself and internet will not work. So Disabled the DHCP server from ADSL broadband WiFi router. DHCP- Select the Disable bullet and click save button to apply settings. Part: 2 Host internet WiFi Rotuer configuration. Step1: Connect your PC/Laptop to the main internet router. In this step, we will enable the WDS bridge mode to connect ADSL router wirelessly to use for Wi-Fi signal boost. Connect Main Host WiFi router and open page. Enable WDS bridging option as shown below image. After Enabling WDS mode in TPLink Wi-Fi router now need to scan and connect to DSL modem. Press Survey button to scan Wireless network running. After click Survey button within 3-5 second, you will get the complete list of scanned WiFi name running on your area. Choose your Broadband ADSL Modem Wi-Fi name from list and press connect button to join. After selecting your ADSL2 SSID now fill the password to connect it. BSSID = Mac Address of ADSL router. Password: Type the password of ADSL modem. Press the Save button after all information filled. The device will ask to reboot to take settings effect. Reboot device and wait until it’s not connected to Binatone ADSL router wirelessly. After successful connection with Main host router now you can place your ADSL modem router to the nearest place from where the signal can boost as well as the signal connection from main host router. This method test with Binatone WR1500N, WR3000N, TP-Link TL-WR743, WR741ND, and other popular modes. I Ball 150Mbps and 300Mbps Wireless router, To another brand router, try to find the WDS mode. If you facing any issue to connect with another brand router please comments with Router model. I will try to find the best solution for the same router as soon as possible. The conclusion is connectivity through wireless important for one WiFi router to another wifi router doesn’t matter its connection as repeater or WDS mode. 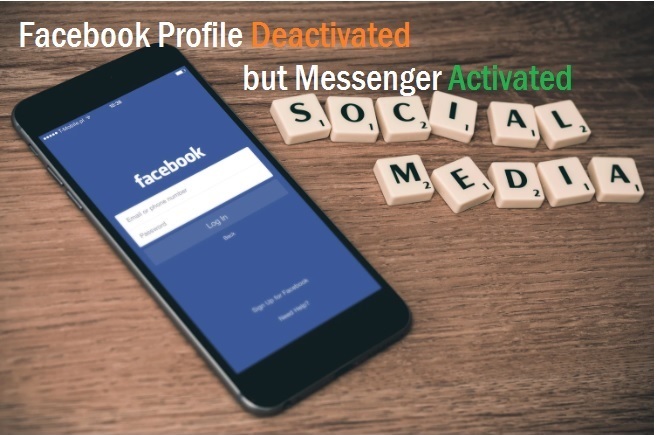 IF we can make the wireless connection then we can use it as repeater or range extender whatever call. 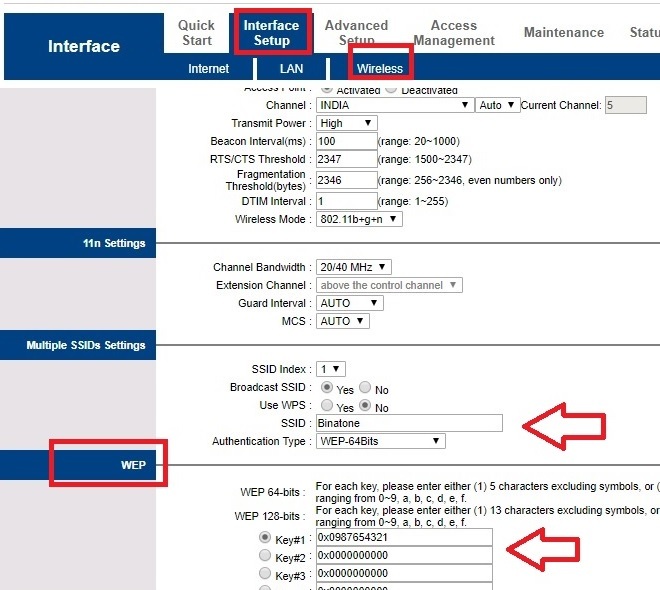 Repeater mode also calls AP+ client so we can say the method to connecting Router +WDS bridge as the Main host wifi router configured with the internet as well as connected bridge mode to ADSL router. I tried your methodology using MTNL Binatone ADSL modem/router as AP DM856W and DEN modem/router as host. I was able to get to MTNL router being shown in survey in my host router. However, the option of connect was not there. I tried other options too but to no avail. Kindly help. Please tell the complete brand name and model number of the host router you are trying to connect Binatone device after that I can help more. Currently i do not have both the router to test with repeater mode.